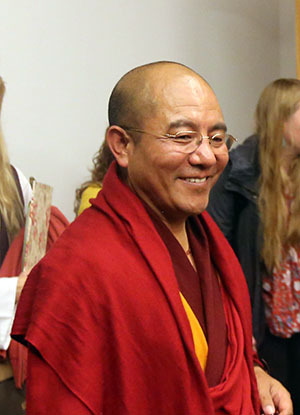 Khenpo Sodargye Rinpoche discusses the relationship between two extraordinary Buddhist traditions: Chan and the Great Perfection. He also talks about the Samye Debate. While the hidden meaning in Hashang Mahayana’s view was too profound, which is in some regards similar to the view of Dzogchen, according to the Treasury of the Natural State, many people during his time failed to understand it. In both the Great Perfection and the Chan tradition the main point is to observe the mind. In this regard, each approach has its own pith instruction from respective lineage masters, and general traditions regarding learning and contemplation. But in the ultimate sense of realizing the nature of mind, similarities can be found within these two traditions. Dzogchen teaches that through the realization of the nature of mind you can attain Buddhahood in this life. In the Chan tradition, understanding your mind and seeing your true nature, and you will realize that this very mind is just the Buddha. Is It a Good Idea to Share Tantric Teachings with the Public? 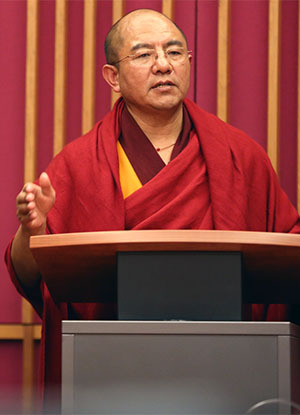 Some people never receive the empowerment of Dzogchen or complete the prerequisite preliminary practices for learning the Tantric teachings, yet they think they have comprehended the mysteries of the Great Perfection simply from reading a book and is therefore able to make those teachings accessible to the public. This is a very dangerous idea since their understanding amounts only to a superficial one. The Great Perfection is like a secret formula: if it’s not kept secret, it will lose its efficacy. Why Dzogchen Should Be Kept Secret? One attains spiritual accomplishment through studying and practicing the Dzogchen in secret. Otherwise, troubles occur. These can bring harm to yourself and others and cause you to be reborn in the lower realms. Once the teaching is no longer secret it will disappear more easily. As a result, one’s wishes will not be granted and one will be punished by the Dharma protectors. The main difference between the Great Perfection and the Chan tradition concerns the subtle states of the nature of mind. It is difficult to understand this only through study. In Larung Gar, Great Perfection is centered on practice. Debating about it is discouraged, not because there is anything to hide, but because a gradual understanding of the secret meaning is only possible through practicing of the traditional pith instructions. Buddhism can have different expressions about the same thing without being contradictory in the ultimate sense. I’ve introduced you to some of the opinions of the great masters but it’s up to you to decide whether they are contradictory or not. As for me, I see no conflict in them. One attains spiritual accomplishment through studying and practicing the Dzogchen in secret. Otherwise, troubles occur. These can bring harm to yourself and others and cause you to be reborn in the lower realms. Once the teaching is no longer secret, it will disappear more easily. As a result, one’s wishes will not be granted and one will be punished by the Dharma protectors.